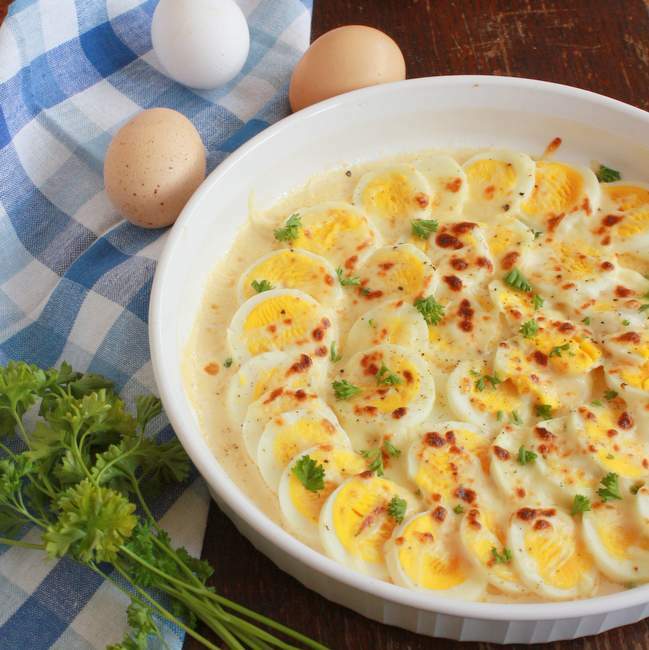 An easy 15-minute appetizer or simple, satisfying dinner when served with salad: eggs with a creamy, cheesy sauce- Hard Boiled Eggs Gratin. Use up those leftover Easter eggs! And not just any French chef; the origins of this cheese-sprinkled egg originates with an apprentice of the legendary father of French cooking: Auguste Escoffier. The fascinating story goes like this. The recipe was found in an old wooden trunk, a pirate treasure type trunk, hidden away in the corner of a dusty attic for generations. The handwritten recipes were discovered in 1963 in the upper room of an old Pennsylvania home by Karen Blumensaadt, the teenage granddaughter of Escoffier’s apprentice. 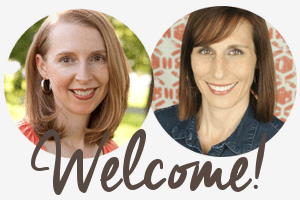 The full tale was told in Feast Magazine – as Karen now lives in St. Louis and has recently released A Culinary Legacy: From Escoffier to Today the story and recipes of her grandfather, Axel Blumensaadt. Wow. I’m pretty sure that’s some of the best cooking advice I’ve heard: Enhance nutrition and taste, but keep the beautiful basics of French cooking the same. As you prepare to peel several hardboiled eggs, DON’T miss this trick for easy-peel eggs from our Easter Edition of #HealthyKitchenHacks! 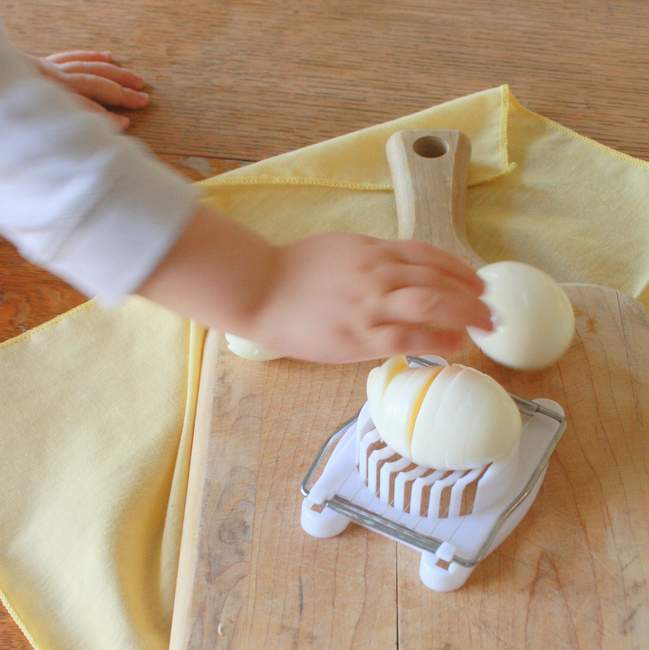 And if you have one, the egg slicer pictured above is fun to use too. Preheat oven to 400°F. Move 1 oven rack to top (broiling) spot in oven. Place butter in large shallow casserole dish and place in oven to melt while oven is preheating, about 3 minutes; remove from oven and swirl butter to coat dish. Slice eggs into 6-8 slices. (Use an inexpensive egg slicer if available) Starting in center of buttered casserole dish, place egg slices in overlapping pattern arranging out toward edge of dish. Sprinkle with pepper. Sprinkle with cheese. Drizzle milk over top of eggs and cheese. Place in oven on a middle rack. Bake for 5 minutes. Remove dish and turn on broiler to high. Place dish on top oven rack and broil for 2-3 minutes until lightly brown. Watch carefully to avoid burning! Sprinkle with parsley and serve with crusty bread. What do you make with leftover Easter eggs? Do you ever cook French food? Such a fun story! 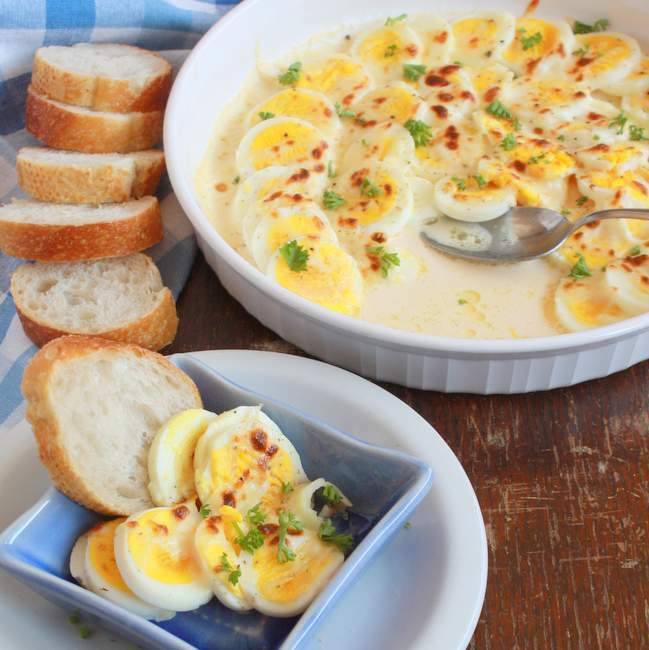 This is such a creative way to use hard boiled eggs – I definitely want to try it out. This whole dish looks delicious! Thanks Brittany. It’s surprisingly delish: cheesy and sooo good on toast. Such and unusual dish with an interesting story too! pinned to my Eggcellent Dishes board! ooooh! I gotta follow that board. Love the name. I’ve never heard of this dish, but love the history behind it! Isn’t it fun Rebecca? Thanks so much! This looks SO flavorful!! Perfect for Easter/using up those extra eggs! !